Details: 3 BR, 3 BA Beach Property, Sleeps 9. South Wind on the Ocean condo, oceanfront vacation rental in Myrtle Beach. Oceanfront paradise best describes the South Wind resort. As you enter this condo, expect stunning professionally decorated furnishings and a relaxing atmosphere in this oceanfront resort residence that offers spectacular direct ocean views from the huge balcony accessed from both the living room and master bedroom. The condominium home is in keeping with the exquisite entrance area and courtyard featuring lavish landscaping that showcases reflecting pools with fountains and the striking Mediterranean architecture at the resort’s street side entrance. The ocean/beach is strikingly visible as you step into the condo’s foyer. That ocean view becomes more and more spectacular as one makes his/her way through the kitchen/dining room area, to the living room and then to the balcony. 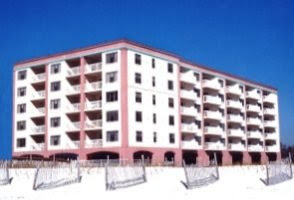 South Wind on the Ocean Condo Rental in Myrtle Beach, SC..
Myrtle Beach is a popular vacation destination, golfing destination, retirement community, and family vacation spot. Myrtle Beach has numerous activities for the whole family, like the Carolina Opry, Medieval Times, Springmaid Pier, ice-cream shops, live music, the boardwalk etc. Shop and dine at one of Myrtle Beach’s outdoor entertainment complexes, or explore the beaches of the Grand Strand – each with a unique personality. Myrtle Beach is one of the major centers of tourism in the United States because of the city’s warm subtropical climate and, of course, the beaches – the area attracts approximately 14 million visitors each year.